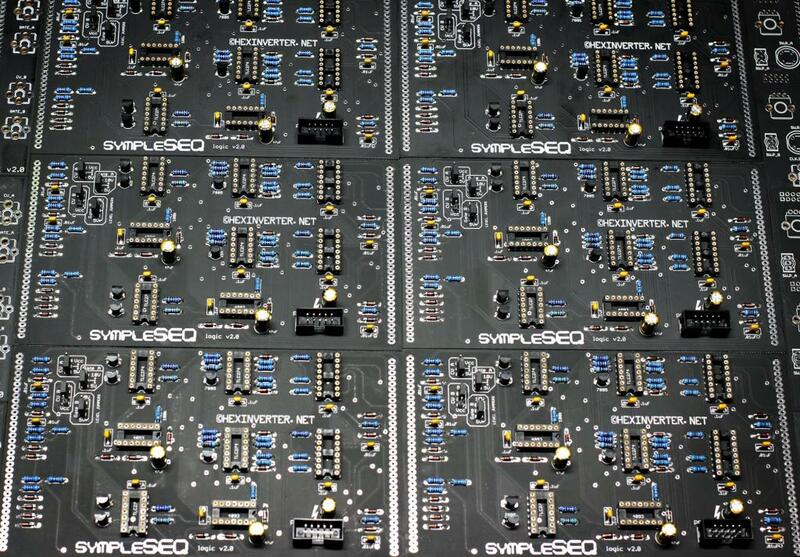 I just thought it would be fun to share some photos as I assemble a batch of sympleSEQ modules More to come! Can you tell me which jacks use the switching contacts? I have a few of the older Erthenvar jacks that I'd like to use in the non-switching positions. CLK.IN_A+B and CLK.IN_B both require switching jacks. All the others can be non-switching if you like. Finished the assembly run today! Woot It was a lot of work! What are the two 10 pins connectors on the right part of Control board for ? The picture below, from your website, didn't show the same layout. 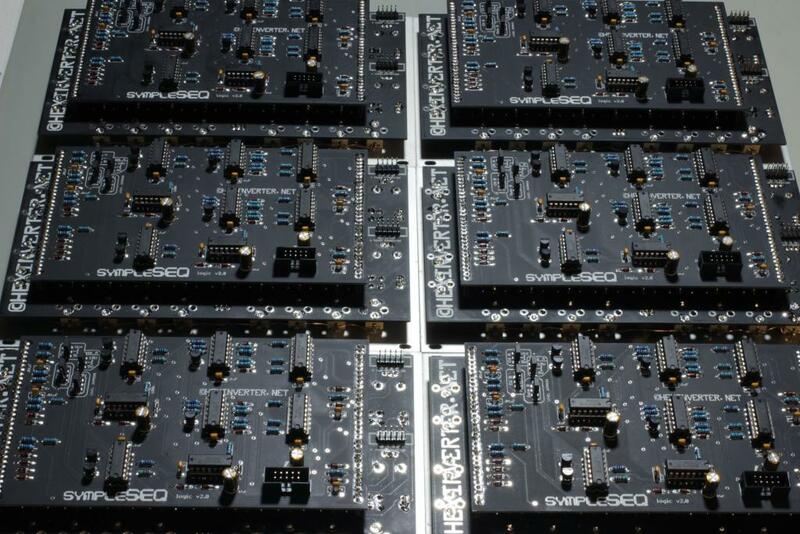 The production boards have expansion ports on them for a planned expansion module. What was your idea about these expansion ports ? 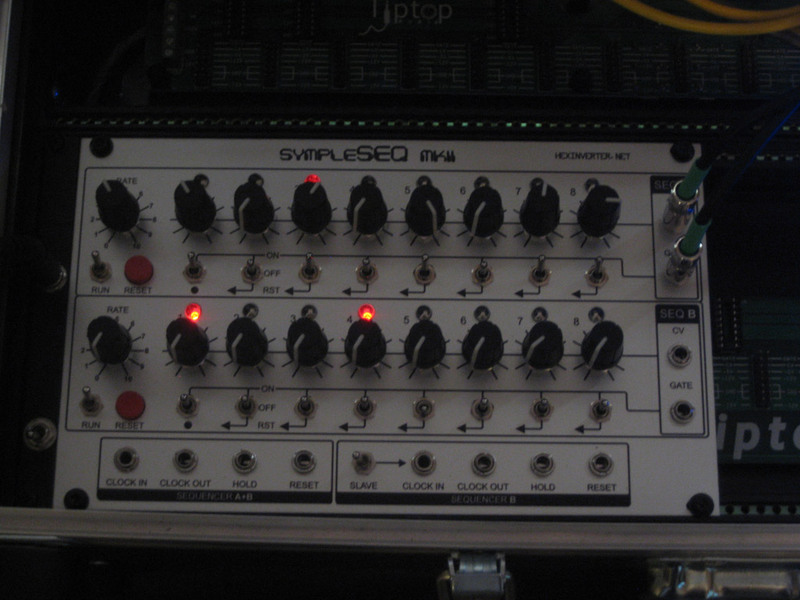 Well, IF I make it (and that's a BIG if...) it will be a module with individual gate outputs per step (for triggering different events on different steps) as well as another set of switches that let you program TB-303 style gate sequences that can tie together on selected notes. There would also be a gate length control. 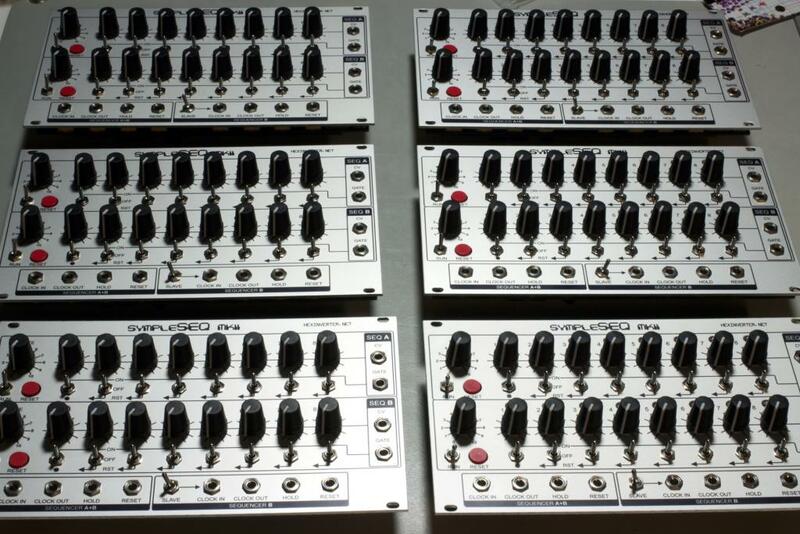 There would be a few other added features like better external sequencer control (latching run/stop, for example). VERY interesting, especially the individual gate outputs per step! Mouser finally shipped my order today (waiting on the switches) so I'll start building my SympleSeq next week. I'm very excited. Post some photos if you get a chance! I always like more to put on the site. Hehe. My parts have arrived and I've started building. 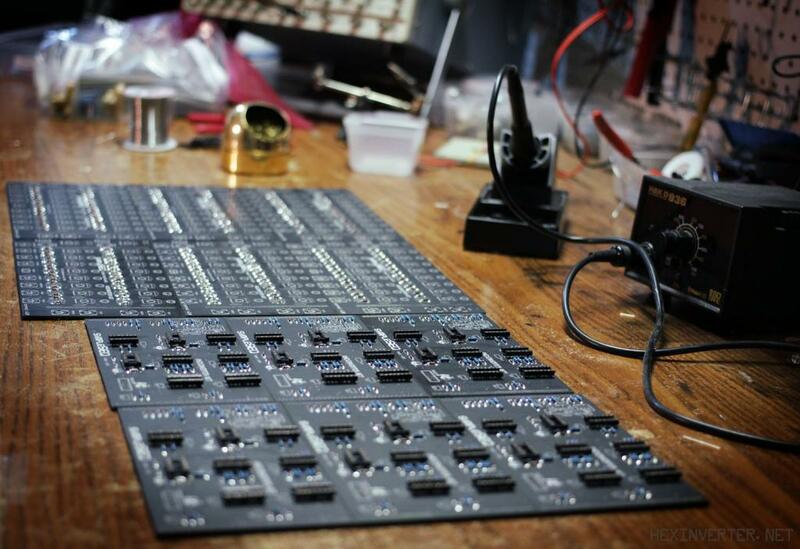 On the control board, there are 16 10K resistors that each limit the current for a given LED. My LEDs are a little bright so I'd like to try a few resistors on a breadboard to find an appropriate adjustment. What is the voltage supplied to the LED at that point? 10 volts, maybe? Hey man! Sorry for the late response...I have no idea why this thread is not showing up on my watched threads list any longer. Nice! What was the build time? I'd originally estimated build time at 4-6 hours, but I ended up taking around 8 hours start to finish because of a couple mistakes. Edit: I posted one of my SympleSEQ demos over in Your Tunes. Figured I'd link it here for reference. I've been having fun running a 7-step and an 8-step sequence from the same clock. I'm actually designing my own panel layout for various SDIY projects (batteryACID, Liquid HH, ...). 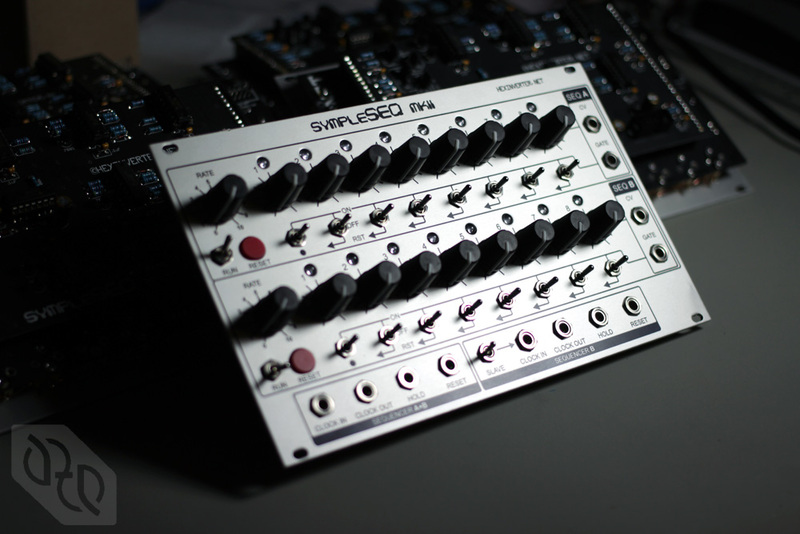 Can you provide us all measurements needed for the Dual eurorack SympleSEQ, as I have a "panel less" kit, and need to draw one myself ? Thanks Stacy ! ... now back to my architecture software ! - ... and many others from the borders of the PCB. Or, do you have a DXF/DWG file to share ? Might be much easier for me. 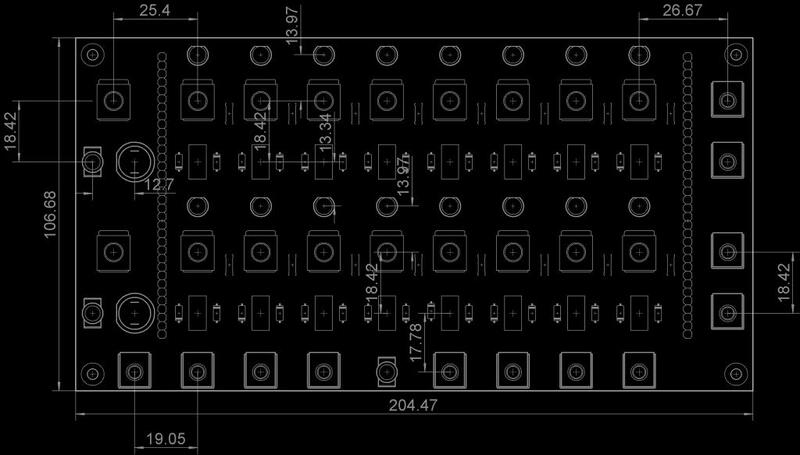 How do I position this grid in the PCB rectangle ? 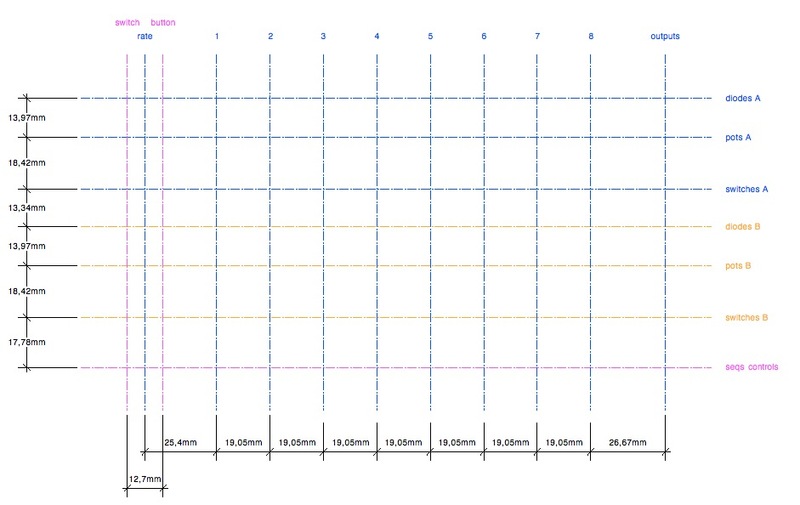 I've assumed that the layout grid, drawn from your information, was centered in a 42HP panel. 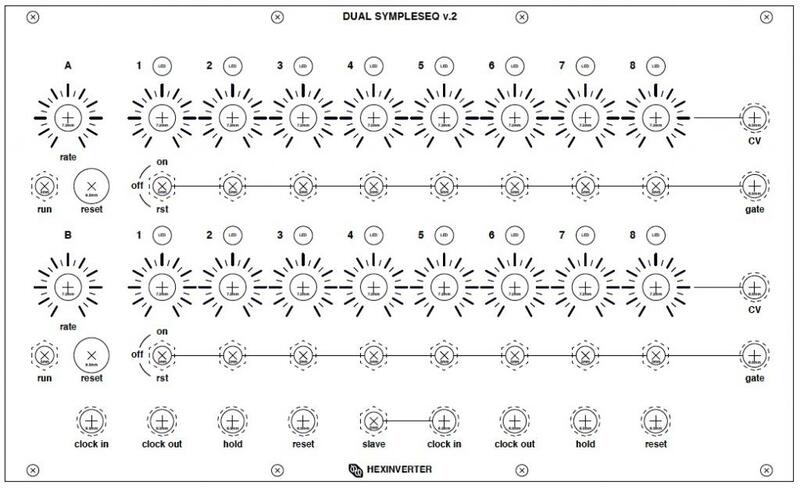 Can you print the PDF file below (at 100%) to check if my layout fits your panel's PCB ?